shapes and sizes, supplying up to 1100 guests. We cater for several venues across the region, supplying consistently high levels of service, all with the wow factor as standard. We have a fantastic working relationship with venues and they share the same passion as we do and that is ensure our clients expectations are exceeded, and everyone has a great time. The Park Hotel has five functions rooms, each with its own distinctive style. From the old school glamour of The Ballroom, to the intimate elegance of The Rotary Lounge, we have the perfect room for your big day. 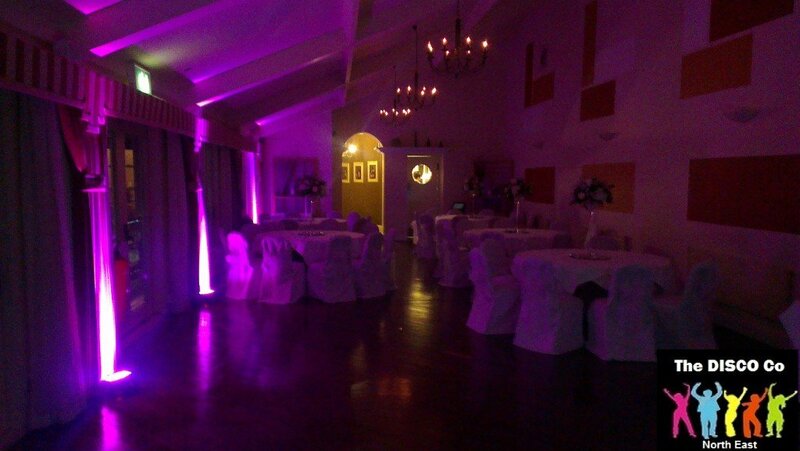 Each of our function rooms can be dressed to match your selected wedding colours. Choose from beautiful chiffon table runners and chair sashes, stunning silk flowers, shaped confetti, candles and coloured crystals. Our private red carpet reception area and bar is available for your use when you choose to celebrate in The Ballroom or The Longsands Room at The Park Hotel. The Park Hotel is an approved and licensed venue for civil wedding and civil partnership ceremonies. Whether you want a small and intimate wedding celebration or a reception for up to 2,000 people, the versatile function rooms at The Park Hotel are the ideal place to hold your wedding in the north-east. With stunning sea views, a wide variety of catering options and a choice of wedding packages, the experienced event organisers at The Park Hotel will make your big day a truly memorable celebration. 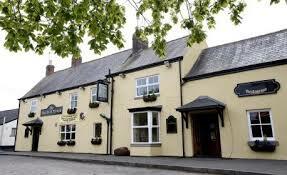 A quiet, family friendly pub and restaurant with disabled access, set in the tranquil village of Shadforth. Whether you’re looking for a venue for a function, a meal out with a loved one, a relaxing lounge to have a coffee friends, then we’d love to see you. We offer home cooked food, fine wines and chilled beers as well as live sport in our bar area. Our very friendly staff offer table service to all and we can cater for all diets. Vegetarians, Vegans, Gluten-Free, Diabetics all welcome. Party’s Welcome – We encourage large party’s in our restaurant and would be the perfect venue for your special occasion. 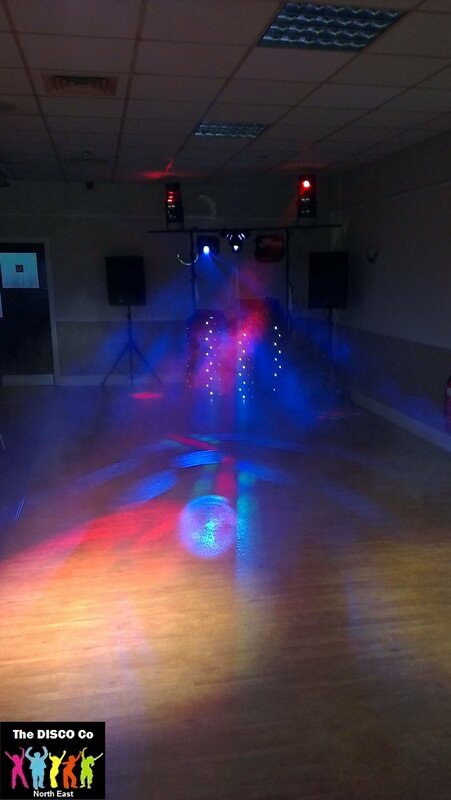 A great venue hidden away in the picturesque village of Shadforth. The venue host a great function area are is versitile to your requirements. We love the Shadforth Plough so much we go back for dinner time after time, the staff are great, and the food is amazing. Battlesteads is licensed to host civil marriage ceremonies and is the perfect setting for your special day. The restaurant and conservatory are suitable for both small and medium sized weddings and functions for up to 100 guests. When you book a wedding we close the hotel to the general public, so you and your guests can enjoy the day in private. The whole Battlesteads team is at your disposal to ensure everything goes smoothly. A wide range of menus are available to suit every taste, all freshly prepared by our own chefs. Fully flexible seating arrangements. Wedding Receptions, Birthday parties and a variety of Celebration events can be accommodated. A dance floor, appropriate for the room seating capacity. Licenced Bar, with Tab and Credit Card facilities. Kitchen facilities, in support of the available catering options. Round Tables, Crockery & Cutlery can now be hired from Blue Flames Club. Click HERE for details. Contact Reception to discuss details. Amble Suite – Ground Floor setting, capacity 120 people, TV + Large Screen, Audio visual facilities, direct access to outside terrace.Disabled access. Belsay Suite – First Floor setting, capacity 200 people, full Conferencing facilities (including Broadand and Wi-Fi), panoramic views over the grassed areas of the site. Callerton Suite – Ground Floor setting, capacity 250 people, Large Screen TVs, Audio Visual facilities, direct access to indoor sports hall. Disabled access. provide the perfect venue for your perfect day! Horton Grange is a specialist wedding venue and the quality of the food, service and organisation on the day reflect the substantial experience of our Wedding Team in making sure everything goes perfectly. 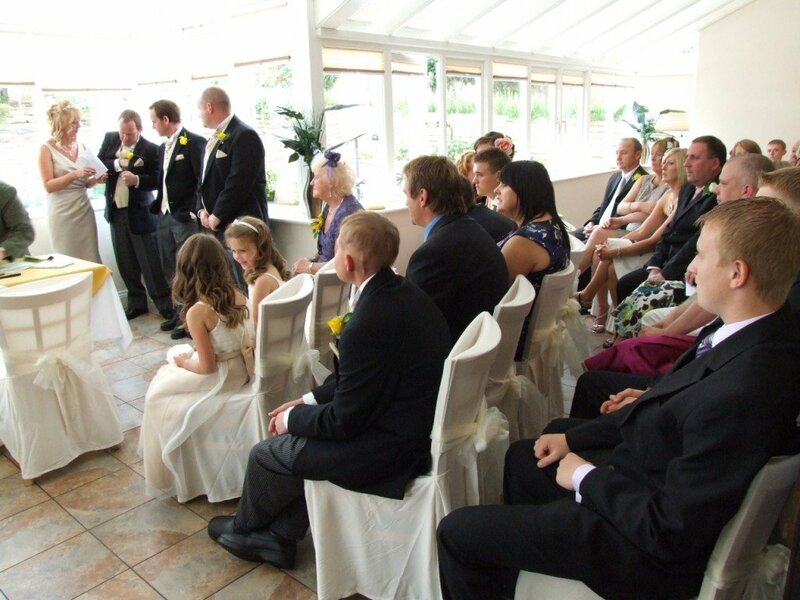 Garden ceremonies in the stunning Wedding Gazebo to take advantage of the grounds and setting are very popular. We love working at Horton Grange as it is a very personal venue, with amazing spaces for you and your guests. Ensure you book us direct to ensure you get our LED uplighters as standard. Please contact our Wedding Team to discuss your requirements further. Imagine – a Northumberland boutique hotel and wedding venue with an extravagant outdoor Wedding Terrace with retractable roof, a Wedding Hill with breathtaking 360 degree views, one of Britain’s most spectacular beaches and your very own big house in the country. The only luxury hotel in Newcastle and Northumberland specialising in outdoor weddings with hog roasts in the meadow, cocktails on the beach and picnics on the lawn, Newton Hall’s ceremonies and celebrations are reputed to be among the most distinctively different in the world. Beach celebrations at Newton mean vintage-style beach huts and wedding parties draped over tractors and trailers, hay bales and one another. Tastefully traditional or daringly different, whatever you choose, Newton Hall is exclusively yours, in all its gorgeous Northumberland boutique hotel glory. 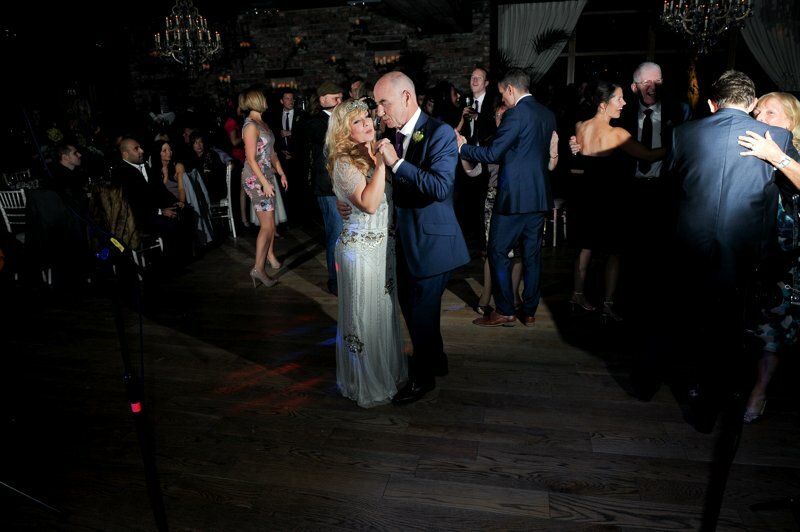 And with more extras, more imagination and more wedding va va voom than any other wedding venue we know, there are surprises round every corner and more merriment than is generally considered decent. We are always on the lookout to add more venues with great function rooms to our residency portfolio, so if you have a venue get in touch as we would love to pop over and have a chat about our future together.